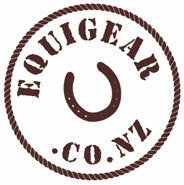 'The seller' refers to Protective Elements Limited, Trading as EquiGear. Please choose carefully as we do not refund if you have changed your mind or chosen an incorrect product. We will offer a store credit or an exchange. We do stand by the 'consumer guarantees act' and if the item is faulty we will repair or exchange. Photographs are required showing fault/damage/unsuitability. No exchanges or refunds on any specific items ordered in. No exchanges or refunds will be given if items have been used or tags have been removed. No exchanges or refunds will be given on helmets or hats due to health, safety and hygiene regulations. No refunds will be accepted or given without prior agreement. Permitted refund does not include postage.